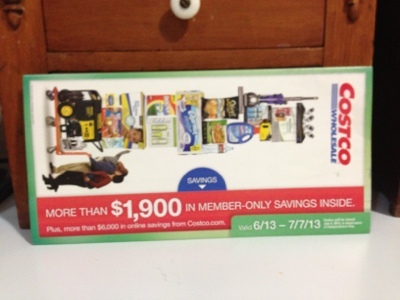 Once again Kimberly, over at the Addicted to Costco blog, has the newest US coupon book on PDF. She warns that you can't print out the coupons and use the pdf copy at Costco. If you didn't get the original in the mail, check at the Service Desk and get a copy. I saw a couple things I will probably buy: my moisturiser and maybe the Acuvue Moist Contacts, which I posted about before.